Ezt a terméket eddig 51 alkalommal vásárolták meg! Magno Mix 420 CNC grinder. High quality, CNC cut grinder, made of stainless metal material. 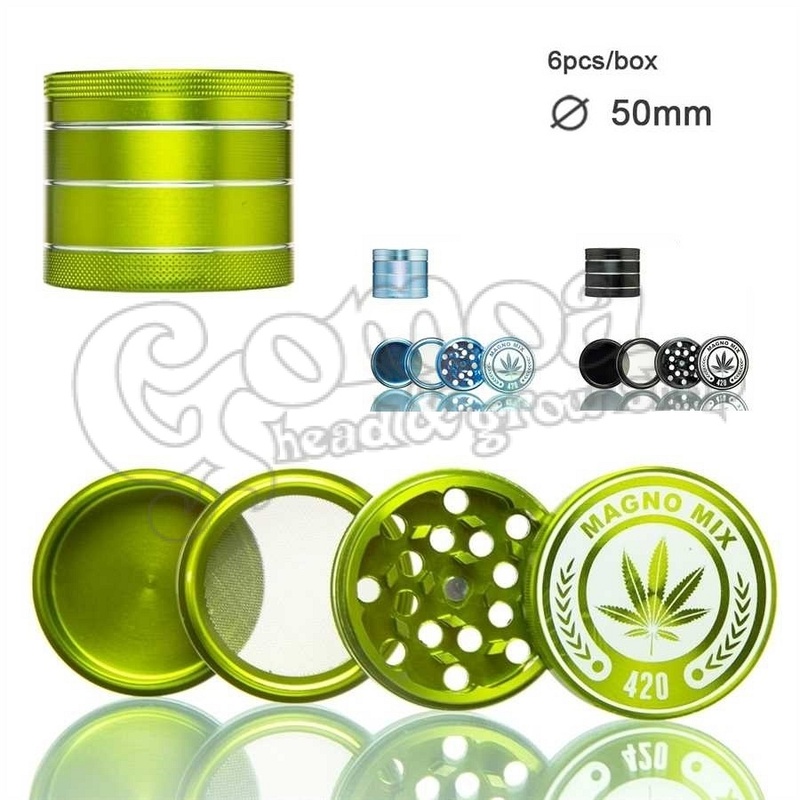 Magnetic closure and rhombus teeth make this grinder a high end piece. It has 4 parts, therefore it has pollen collecting capabilities. Please comment the desired color when ordering, otherwise we'll choose a color randomly.